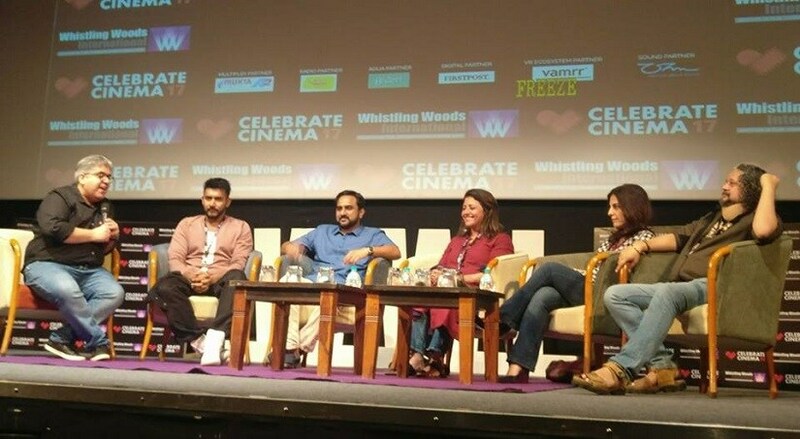 The final program of Day 2 of Celebrate Cinema, an initiative by Whistling Woods International, was an engaging panel discussion named Filmmaking 2022. Moderated by renowned film critic Rajeev Masand, the panel comprised of filmmakers Leena Yadav, RS Prasanna, Amole Gupte and Shashank Khaitan, along with scriptwriter Juhi Chaturvedi. The acclaimed writers and filmmakers discussed Indian cinema across industries and what the future looks like. The discussion kick-started with Masand asking for the panel's take on the vehement rejection that films have been facing from the audiences, more so in 2017. "We must be slapped," pat came Chaturvedi's reply. Having written the 2015 hit Piku, she feels cinema must realise that it is impressionable and filmmakers should make films that move people and leave an impact on them. RS Prasanna has a positive outlook to the situation. According to the Shubh Mangal Saavdhan director, if a Tamil filmmaker can come and make a Bollywood film on male impotence, it's a sign of change. He also points out the influx of Mexican and American filmmakers into the circuit and calls it a "nationalisation of Bollywood" of sorts. Amole Gupte, who proclaimed he is an outsider, said working outside the circuit is how he secures himself in the industry. He dished out one line which puts his perspective succinctly, "tel bechna hai to mat karo" (Don't make films if you do not want to toil). Finally, they all agreed with Khaitan, who delivered the 2017 blockbuster Badrinath Ki Dulhania — “Make films you want to make. Don’t make something that you have no idea about.” Therefore, being truthful to yourself, in an industry that otherwise works like a dreary business is the key, according to the masters of film making.